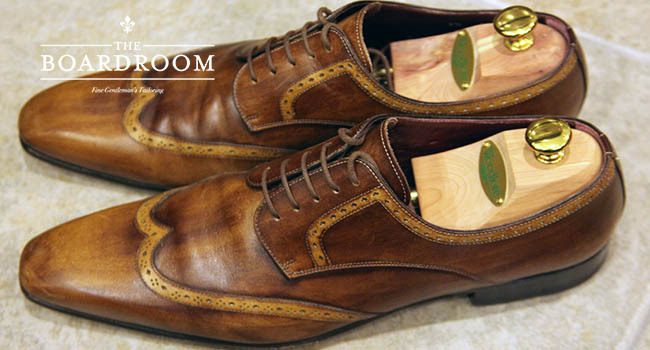 A pair of made to order Italian handmade shoes can last a life time if cared for properly. In this quick guide I will take you through the process and tips of how to best care for your new pride and joy. The first thing to do when starting is to prep your work area, you may be cleaning, but it’s a dirty job! 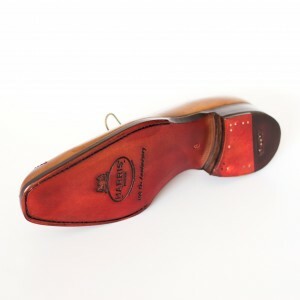 Next dip a soft sponge into water to wet slightly and gently work up a lather of the saddle soap on the surface of the shoe. Ones clean, leave your shoes to dry slowly, as quick drying can damage your leather. 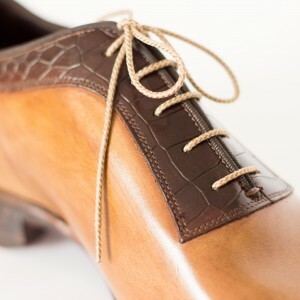 Conditioning your shoes is very important, it keeps the leather moist and stops leather cracking. You should apply a conditioner to your shoes whenever you feel the leather is getting dry, but this is something of an acquired skill and it’s not always so easy to determine – a general rule is to condition every five to ten wears in hard conditions, and every fifteen to twenty-five otherwise. Colour. Colour is the most important aspect of this step, if you can get a hold of wax directly from your shoe supplier that is your best option as it will be a perfect match. When it comes to polishing, much like conditioner, shoe polish should be applied in small, gradually layered amounts using a horsehair brush or cloth moved in concentric circles with mild pressure. 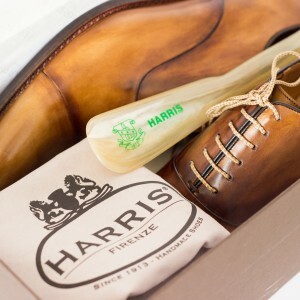 One great tip for polishing your shoes is to apply a few drops of water to your rag-swaddled fingers and rub gently on the same spot until you feel a hardening of the wax; with a good bit of elbow grease, a decent shine should begin to appear. 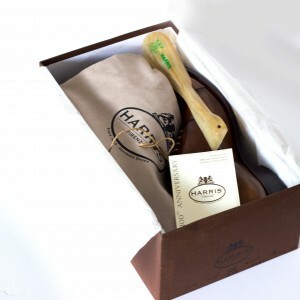 Shoe trees and scented shoe trees are a great investment, they help keep shape and contract moisture from recently worn shoes to keep leather at its best. Keep your timeless shoes…timeless with these simple steps and just see how much further your shoes will go. ← The Summer Wedding – What to wear.